In this era of digital technology in all aspects of human society, Liferay DXP is worth for Digital Transformation. 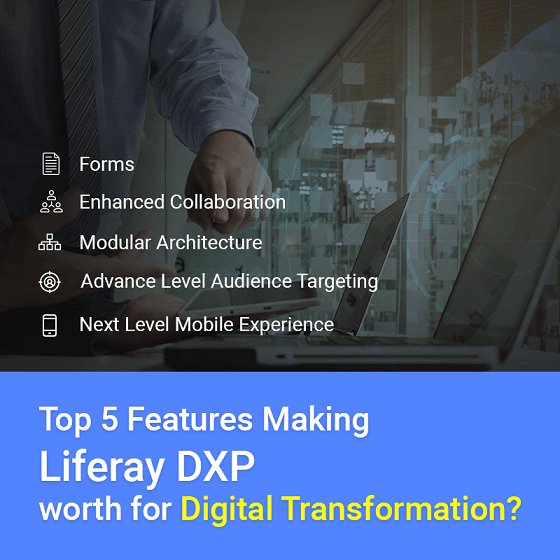 In this article, we will be dicussing about top 5 features making liferay DXP worth for digital transformation such as forms, enhanced collaboration, modular architecture, advance level audience targeting and next level mobile experience. In 2015 American Enterprise Institute revealed that only 12% of Fortune 500 companies from 1955 remain Fortune 500 companies today. Several factors might have been responsible for such situation; we cannot underestimate the importance of being adaptive to the changes.And digital transformation is also one of those changes that have to be adapted. The ultra-modern Liferay DXP is one of the best technology platform options available for an organization’s digital transformation. Additionally, proven lower TCO and higher ROI is another reason for global enterprises to opt for it. Since Liferay has launched its next level and revolutionary version as Liferay DXP encompassing all functionalities required to enable a successful Digital Transformation, its scopes have widely been expanded as digital experience platform from just Liferay Portal Development activities. Liferay DXP has transpired as a robust platform to enable the development of highly integrated technology solutions that can deliver advance user experience across all digital touch points throughout the user lifecycle.The consistently increasing number of Liferay Integration demonstrates that industries have already accepted it as an efficient digital experience platform. Following are few of the features that make Liferay DXP worth for the enterprise’s digital transformation. Liferay DXP and Liferay 7 both allow to define and to publish dynamic advance forms. 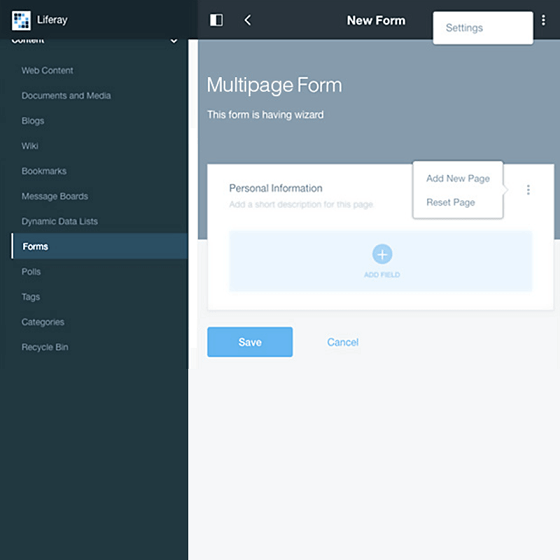 These forms can be of several pages and have multi-column layout and they can easily be integrated with Liferay’s workflow. The new Form functionality enables you perform any level of liferay customization encompassing all custom requirements regardless of their complexities. RSS support, @mention another user in comments, threaded comments of user and guest, social bookmarking links, email notifications of replies etc. for blogs as well as other Out-of-the-box social collaboration features. 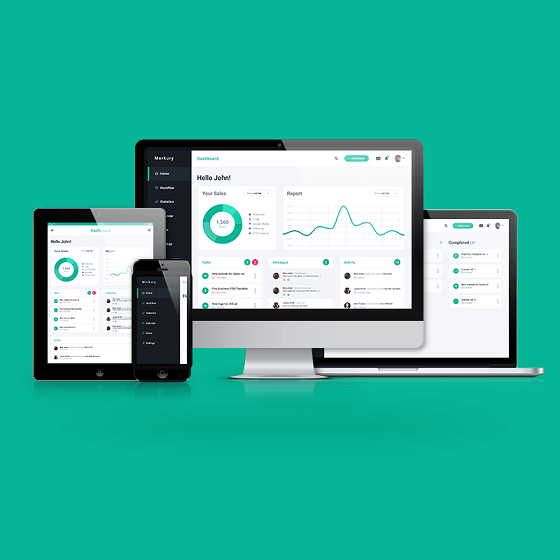 This functionality supports highly collaborated and social computing enabled Liferay Application Development. In Liferay DXP, features and functionalities are now available in little pieces distributed into enormous modules. You can use them as per your requirements. 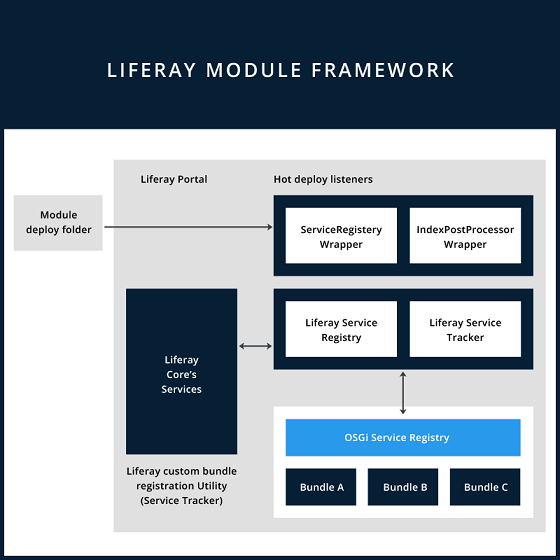 Modularity in Liferay entitles you to choose the only features that you want and develop lightweight and innovative applications. Very advance level of audience segmentation of Liferay DXP is enabled with never before segmentation rules. You can configure the segments using parameters such as the custom fields of user profile, the user’s IP address, user language, and sign up date or even last login date. There are more than enough capabilities to manage smart and pro-active usage of these segments. Advance level audience targeting will be extremely useful for your liferay cms related functions and boost the analytical capabilities of your application coping with the modern trends of analytics. The enhanced mobile tools and new set of screenlets for Liferay Screens assure secured and seamless usage of your application through various mobile devices. This is one of the most significant characteristics for mobile first era enabling the access of the application through various touch points. Digital technology has already transformed the way of managing all in all organizational activities. Hence, digital transformation has become more of a necessity not only for conquering competitions but also for corporate survival. Lifeary DXP holds the potential to drive technology enabled flourishing for the visionary enterprise.